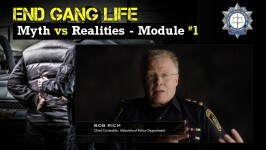 What Does a Future Victim of Gang Violence look like? 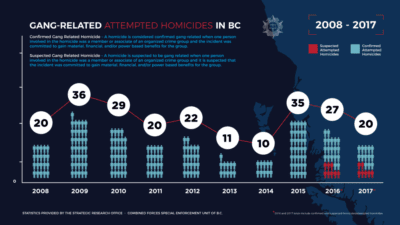 We analyzed every gang-related homicide and attempted homicide in BC between 2008 and 2017 to better understand the characteristics of a typical victim. 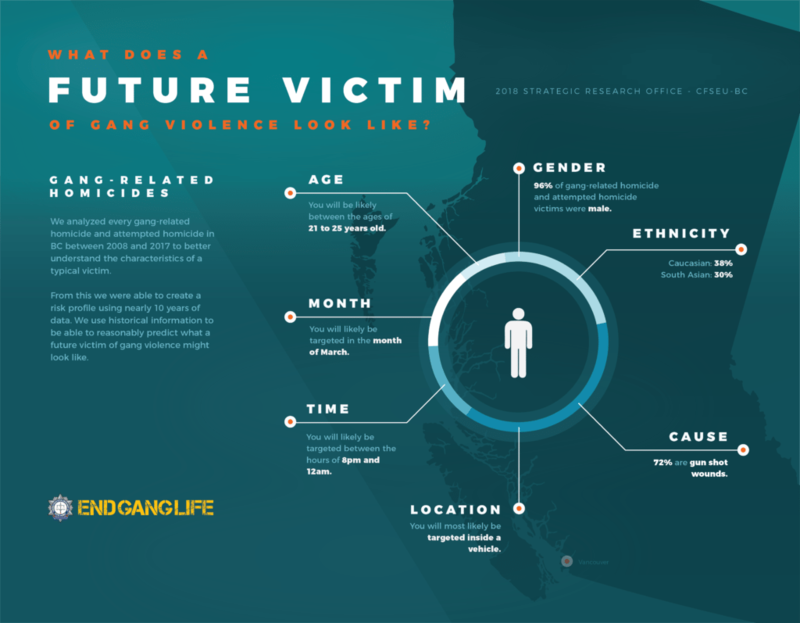 From this we were able to create a risk profile using nearly 10 years of data. 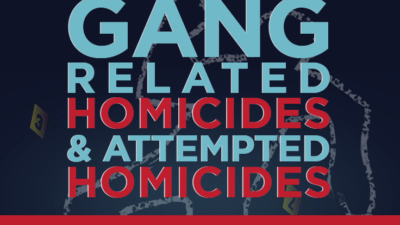 We use historical information to be able to reasonably predict what a future victim of gang violence might look like. 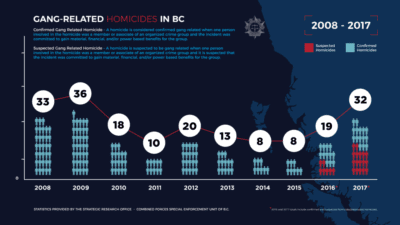 This Infographic represents data from the year 2015, and DOES NOT represent the current shooting conflicts in 2016.